When should you call a contractor for storm damage roof repair? If your home recently faced a destructive storm with strong winds and hailstones, then it would be wise to have a roofing contractor conduct a full inspection of your roof (and most of the time this is free). 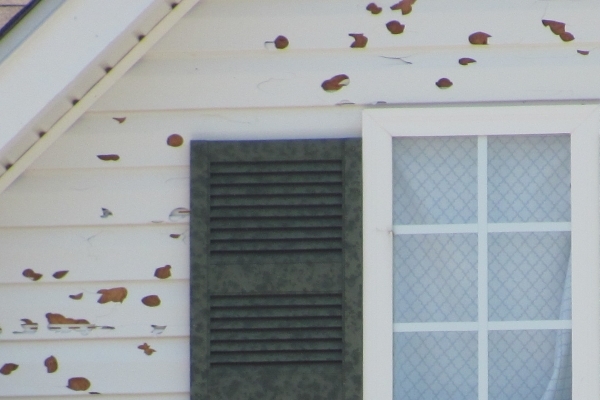 Here is an explanation of what happens to your roof after a severe rainstorm or hailstorm. Storms will always cause damages. However, most households would only call for storm damage roof repair if they find the previously upset weather extremely strong. Homeowners should always consider roofing inspections after every storm that passes. Identifying the severity of roof damages after a storm can help homeowners decide to call for roofing inspections or provide temporary repairs. 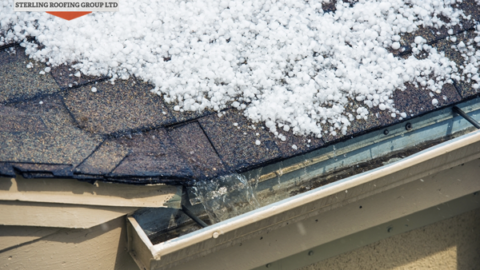 Hailstones are the biggest enemies of any roofing material aside from tree branches and heavy debris. A hailstorm that hits the roof of any home will create immense damage. If you have seen the size of hailstones that fell during the storm, then you can gauge the extent of the damage before taking a closer look. Hailstones with the size of softballs have higher velocity than smaller variants. They will displace shingles and create tears on synthetic membranes. Heavy and lengthy rainstorms will cause uneven areas of flat-roofed homes to create water ponds. If left unattended, these pools will consistently cause stress on synthetic materials. This can cause tearing and leaks. 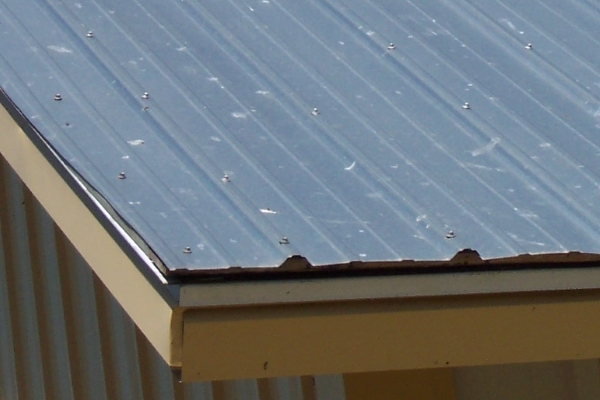 Ponded water on metal roofs can cause rusting leading to leaks as well. Windy storms or hailstorms have the strength to displace shingles. In the case of hailstorms, it can impact and remove granules from any shingle. A lengthy windy rainstorm or hailstorm will displace numerous shingles from roofs or even puncture through them due to displaced granules. Hailstorms will create bruises on any type of roofing material. These bruises feel like the soft areas of fruit skins. If any part of your roof’s material feels softer than the rest, encircle them with chalk marks to indicate the areas of damage. Roofing materials with cracks have suffered damage from heavy-hitting hailstones. If you see any cracks on shingles and asphalt, metal, or tar & gravel roofs, then they will need temporary repairs until professional contractors can perform a complete roofing inspection. 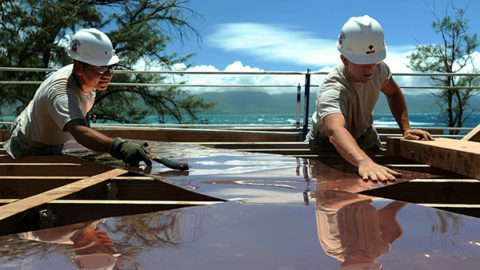 Most homeowners would settle for temporary storm damage roof repair because it is affordable and seemingly practical. However, a roof that had faced considerable damage after a storm will not hold up effectively against the next storm. Heavy, windy rainstorms, and hailstorms will cause bruises and cracking. This weakens the durability of any roof. The next storm will likely cause structural damages and severe leaking in any home. Because of weakened durability, the roof will have a shortened lifespan. 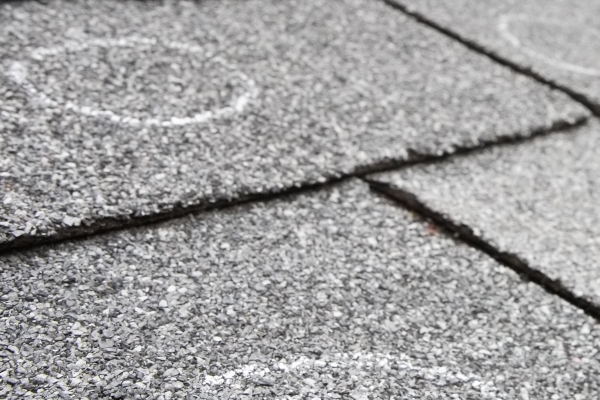 Asphalt shingles, rubber roofs, and other materials will have reduce about 30-50% from their estimated length of service without permanent repairs, which can possibly amount to 5-10 years removed from its respective lifespan. 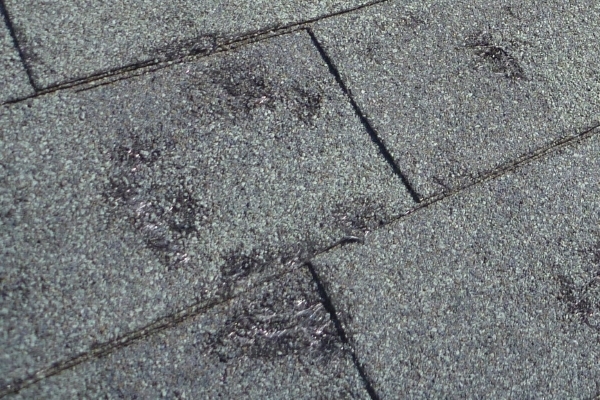 Holes, bruises, and cracks are easily seen from the pavement if not given the right storm damage roof repair. 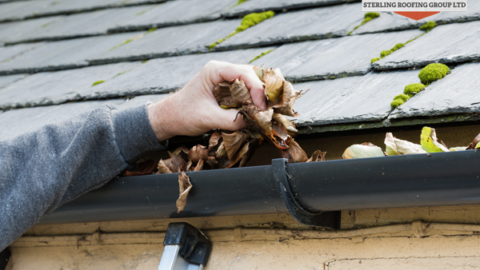 If you plan to sell your property soon, the damaged roof will need extensive repairs to restore its full functionality, which will restore your property’s initial value. Homeowners can provide temporary roof repairs until contractors take a closer look through a thorough roofing inspection. However, they should pursue permanent professional repairs or replacement when possible to avoid further damages and lengthen the life of their roofs. 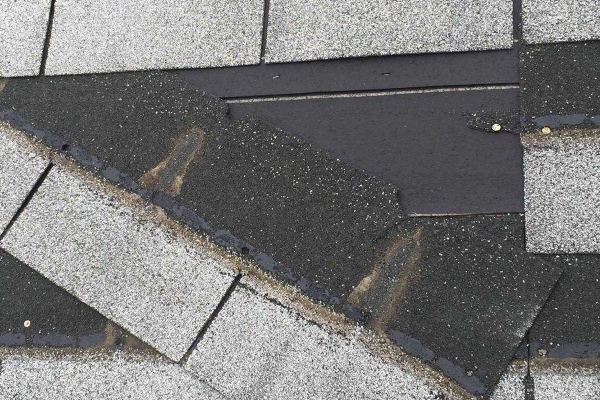 Homeowners can do shingle spot repairs by replacing damaged and missing shingles with strong replacement material to seal leaks and any penetration until proper professional repairs are made. Using a hand or motor-driven siphon, homeowners can remove excess wonder that have ponded on flat roofs or clogged on drains and gutters. These pools of water will cause immense damage because of their weight. Failure to address these pools immediately will result to expensive consequences. Wooden planks sealed with exterior tarpaulin will help improve the home’s insulation if the recent rain or hailstorm created openings through crawlspaces and other areas of the home. This also keeps out any unwanted small animals and reduces the likelihood of moisture forming in these areas. When Will You Need Full Roofing Replacement? Temporary repairs can only do so much for roofs. While some storms leave barely a scratch, others will cause extensive damages difficult even for storm damage roof repair services to redress. In this light, a roofing inspection by contractors will help identify the areas of roofing damage, the extent thereof, and the possible solutions to restore the roof to its original vitality. Unfortunately, contractors will suggest a complete roofing replacement if the material is extremely compromised where no repairs will help improve the situation. Homeowners should think of roofing replacement as an investment that will help not only protect them from the next storm but also as a value-adding venture for their property. The severity of the consequences will weigh heavily on the expenses homeowners have to deal with in having storm damage roof repair services. However, it is a wise decision to make. Roofing inspections are often free. The services professional contractors provide comes with years of experience and knowledge in the field, ensuring the newly-replaced roof is installed properly and delivers its maximum potential.